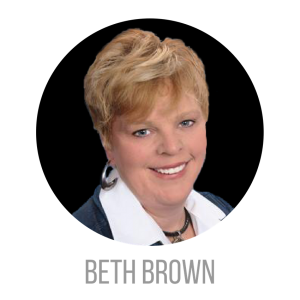 Beth Brown has over 15 years experience in The Greater Cincinnati real estate market. She now has the privilege of heading up the Preferred Ohio Sales Team in Cincinnati. As The Preferred Ohio Sales Team Leader, Beth is uniquely qualified to offer Cincinnati and Dayton home sellers access to resources only offered by the largest real estate team in Ohio and largest real estate brokerage in North America, Keller Williams. Beth is a top Cincinnati Ohio real estate agent. Beth has been actively selling homes and condos for over a decade in the Cincinnati and Dayton Areas. She loves servicing every client from the first time homebuyer to the client looking to downsize later in life. However, being a farm girl herself, Beth continues to have a passion for agricultural and horse farm properties. Her lifelong dedication to the agricultural community has been passed to her daughter who actively participates in 4-H and competes on an elite level with her beloved horses in the Hunter/Jumper Community. Beth holds a degree from Ohio Northern University and a graduate degree from The Philadelphia Institute of Legal Training. In addition to her busy real estate business, Beth enjoys teaching aspiring agents how to succeed in this business by being an instructor at one of the leading real estate educational organizations in Ohio.